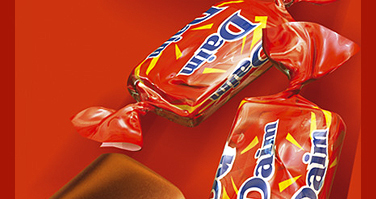 Daim is a crunchy caramel candy bar covered in milk chocolate that originated in Norway in the late 19th century, first produced by the Norwegian chocolate company Freia. Due to its success Freia bought the Swedish chocolate company Marabou and moved the production to Sweden. The brand is produced by Kraft Foods. 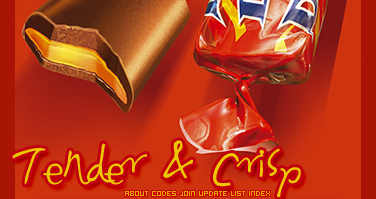 Daim bars are very popular in Scandinavia and the United Kingdom. It is comparable to the American Skor or Heath brands.